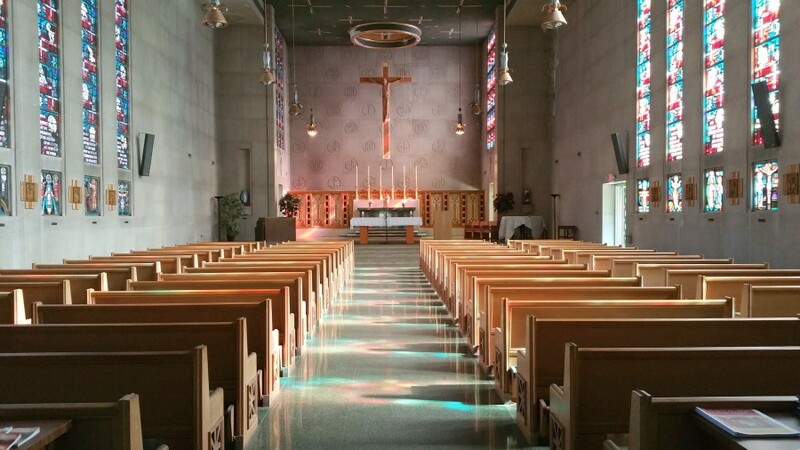 Our beautiful chapel seats 275 people and was added to the building in 1956. Mass is held in the chapel each Sunday at 9:00am and everyone is welcome to attend. The beautiful stained glass windows in our chapel are unique to only one other church in the world. They depict the pilgrimage of St. Francis of Assisi.